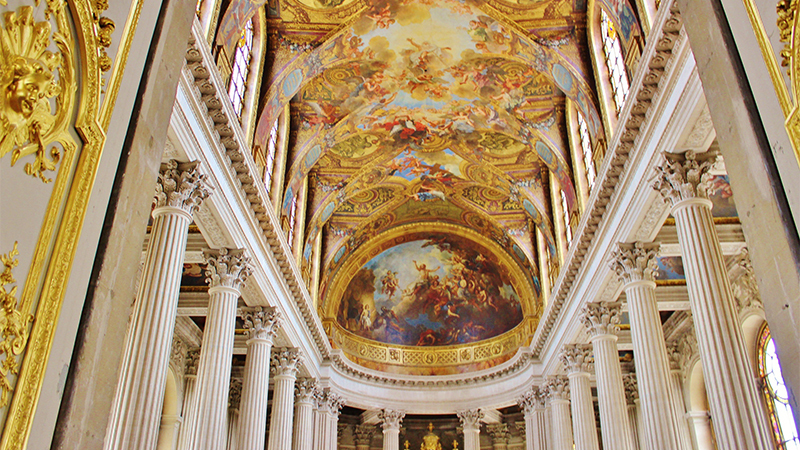 Paris is an intellectually stimulating hub of humanities, science, art and more. Choose courses from Parisian universities in addition to courses offered at Smith’s center in Montparnasse. Smith student applications are due on the first Monday in February (2/04/19). Guest students are encouraged to apply by the February deadline but will be accepted on a space-available, rolling basis up until the second Monday in March (3/18/19). The Paris Program welcomes students from every discipline in the Humanities, Social Sciences, and Sciences. Students in the Paris Program are free to choose their courses according to their interests and majors, which they may take at the Smith Center, along with our partners in the Three College Consortium—Smith, Hamilton, and Middlebury Colleges—and/or at one of our partner French universities—the Université Paris-Sorbonne (Paris 4) or the Université Paris Diderot (Paris 7). Students majoring in Psychology may take a year-long course at the École des Psychologues Praticiens. Students majoring in Government or Economics may take two of their courses at the prestigious Institut d'études politiques de Paris, also known as "Sciences Po." Studio Art and Architecture students may study at the École Normale Supérieure d'Architecture Paris Val-de-Seine. Excursions and group cultural activities are a regular part of the program. 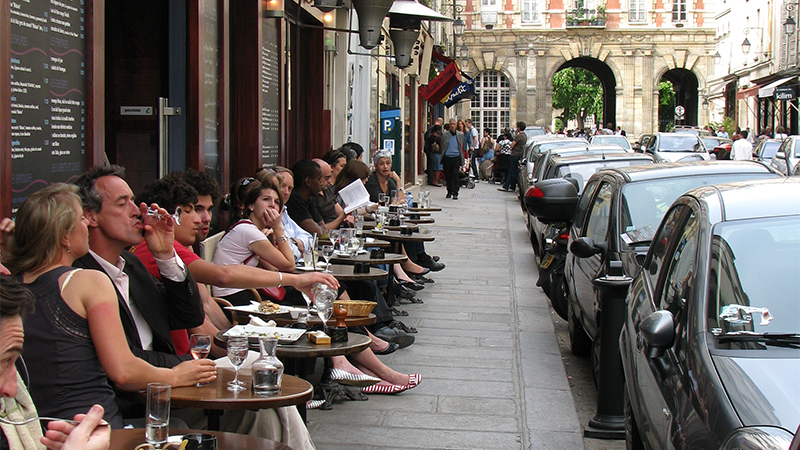 Many students choose to stay in Paris or France after the Smith program ends to do a summer internship or pursue research, often with the support of a grant or fellowship. Students in the sciences, mathematics, and engineering may choose to enroll in the Sciences à Paris option of the Paris program. While participating in all of the program's excursions and group cultural activities, students who select the year long SAP option follow a customized, science oriented curriculum, explicitly designed to familiarize them with the rich scientific traditions of France, as they acquire competence in French and experience the practice of science in an international context. The Smith in Paris program offers students in architecture and art history the opportunity to study at the premier architecture school in Paris, the École Normale Supérieure d'Architecture Paris Val-de-Seine. Participants in this yearlong program combine coursework in architectural history, urban studies, language and culture with intensive studio work. As a result, students are fully immersed in a rigorous design program that engages with the architecture and urban history of Paris, and have the opportunity to interact—both academically and socially—with their French and international peers studying at Val de Seine. Students begin the year with a short, intensive orientation program that prepares them for the challenges of academic, social, and cultural life in France. Students begin to acquire first-hand experience in the language and culture by living with host families who reside in Paris. Please note: Courses in musical performance, dance, and studio art may be available to majors or minors in those fields. Laboratory science courses are available through the program Les Sciences à Paris. Students normally take 34 Smith College credits during the academic year: they receive 16 credits per semester plus 1 credit for the orientation session and 1 credit for the first-semester methodology course. Students pledge to speak French at the Smith Center in Reid Hall, during excursions and among themselves. Situated in the heart of Montparnasse, the Smith Center is housed at the renowned Reid Hall Global Center, a focal point of intellectual and cultural exchange for over a century. This is where the faculty director and the associate director have their offices. In addition, the Smith Center offers students a library, computer facilities, and classrooms. The director in Paris, appointed annually from the Smith College faculty, oversees the program, provides academic advising and offers guidance to university life in France. The program associate director, a French resident, offers additional support and practical assistance on living in France. Students pledge to speak French at the Smith Center. To supplement regular university coursework, special tutorials, arranged by the faculty director in consultation with individual students and based upon individual needs, are offered at the Smith Center. Please note: The following are typical courses taught at the center; actual courses may vary from year to year. The objective of this course is to help students obtain French speaking and writing skills that are clear, logical, and well structured. In addition, the students will be exposed to correct grammar usage, a rich vocabulary, and the nuances behind expressions all of which can be found in the exploration of French culture. This course consists of a balance between the written and oral activities (structural exercises in grammar and vocabulary-both oral and written, presentations, stories, essays, discussions/debates, and reading/listening tests). The goal of this course is to provide the students with a number of devices and techniques that will improve their writing skills. More precisely, we will focus on the specific constraints attached to "academic writing": the way the arguments are structured, organized, formulated in the French tradition of academic texts. Among other things, we will study ways to make the sentences more concise and efficient; we will also see how to formulate ideas in a simple and clear way. Grammatical and syntactic rules will be reminded, if it appears necessary. This language course is designed for more advanced students in French. The objective of the methodology course is to ensure that the students feel comfortable in the French university. The course will focus on the specifics of the French university system and will aim to develop techniques to enable students to make the most of their courses and better understand their professors' expectations. A large portion of the course will be devoted to different types of academic work that students will be required to complete during their year in France. Created as an introduction to a morphological, urban and sociological history, this course aims to go beyond the image of Paris presented by travel guides, film production, and national prejudices, while exploring great works both classical and recent of the humanities. The course will be based on varied type of texts: scientific texts, newspaper articles, icons, movies, literature, popular songs, and more. Several visits will be organized to implement the elements of urban and sociological analysis that will be taught in class. This grammar and composition course aims to enhance your skills while offering the opportunity to develop a better understanding of the intricacies of French grammar. The course works to strengthen your speaking and writing: systematic learning of vocabulary, presentations and reports in class, writing various exercises such as summary or text commentary, and deepening the practice of the essay. In grammar, emphasis will be placed on the construction of complex sentences. With the objectives of building stylistic capacities, enriching vocabulary, and reviewing grammatical structures, this course will be devoted to the translation of non-literary texts of sociological significance, which emphasize the cultural differences between the U.S. and France. The focus will be on idiomatic phrases and identifying different levels of language. Various grammatical and lexical exercises, translations, and quick comprehension exercises will be included and will relate to the theme as well as translation techniques. This course has three main objectives: its first objective is the discovery of some of major theatrical sites in Paris and in the suburban). Students will become familiar with trends and the contemporary scene, and will learn - the second objective of the course - how to analyze a mise en scène and develop methodological and aesthetic thoughts. Finally, for the third objective, the course will give the opportunity to read the study of dramatic works, belonging to the repertoire as well as contemporary writings. This course invites you to discover Paris through the eyes of a sociologist and an architect. From the interrogation of the history of the city of Paris, the course aims to sensitize students to the tools, methods, and approaches specific to these disciplines and to get them to produce forms of restitution (written and spatial) originals. This course aims to study French political life since the post-war (political systems, different governments, policies, reforms, etc.) within its European and international context. Particular emphasis will be put on the European policy of France, its motivation to build Europe, and the ambiguities of its relationship with the European Union. We will examine France's position at the center of the European construction as well as how France may hinder this construction. From 1850 to 1960, France's fate and that of Africa have been connected. To some extent, France and Africa have a common history which was led jointly by French regularity in Africa for several centuries, by the presence of Africans on the hexagonal soil, by the presence of African deputies at the Bourbon palace under the IV Republic and, recently, by immigration. We will see how this relationship is strangely prolonged, even strengthened after decolonization. This course aims to make students understand the challenges facing Europe as well as the major current debates, both economic and political, through the study of the European Union of today and yesterday. We begin by analyzing the logic that led to Europe and its origin. Next, we discuss the various economic policies to see what are the current issues. Finally, we also study the institutional and legal framework of Europe, which lies at the heart of its construction, as well as current, major issues. This course will present the history of French secularism and its key debates. We will address the impact of religious wars (sixteenth century), the absolute power of the state in the seventeenth and eighteenth centuries, the role of the Catholic Church in the monarchy of the ancient regime, the formulation of the idea of secularism in the Enlightenment, the installation of a "model" of secularism active in the Republic (nineteenth and twentieth century), the existence of a "culture" of anti-clericalism, the school quarrel, the new situation posed by the spread of Islam since the 1970's, and the idea of a crisis of secularism today. Students choose courses from a variety of Parisian universities, including the historic Sorbonne (“Paris 4”), the Université Paris Diderot (“Paris 7”), and the Institut d'Études Politiques ("Sciences Po"). All courses are taught in French. Please note: The courses listed here are examples of courses that have been offered in previous years, and may not necessarily be offered at the time of registration. Please check your specific college program for current course offerings. The Sciences à Paris (SAP) option is designed explicitly to support students in the sciences, mathematics and engineering. Coursework, research opportunities, and tutoring are combined into a customized curriculum enabling science students to experience the rich scientific traditions of France, acquire competence in French, and experience the practice of science in an international context. Students with at least one year of college-level French or the equivalent are invited to apply. A customized course of studies combining coursework in your major with offerings in French language, culture and the arts. A scientific advisory board that works with you and your advisor to design your year abroad. Small group instruction in French language and grammar, as well as supplemental offerings designed specifically for science students. On-site tutoring and support for all coursework undertaken at the French universities. Research and internship opportunities (for credit) at leading French laboratories. Additional information about the SAP program and some of the opportunities the program offers can be found on the Sciences à Paris site. The SAP curriculum can be tailored for students who have had one or two years of college level French. The following are two examples of what students can study. Track 1 illustrates a possible path for students coming to the SAP program with at least two years of college French (or its equivalent). Track 2 illustrates a possible path for students coming to the SAP program with one year of college French (or its equivalent). Please note: Paris 4, Paris 7, and Sciences Po each set their own calendars. These will not be published until August. Students must not make return travel plans until that time. Students in the Smith College program reside in private homes in Paris with carefully selected families who are dedicated to helping them to deepen their knowledge of the French language and culture. Boarding with host families has long proven to be one of the most rewarding aspects of the year abroad. Living with a French host family leads both to profound cross-cultural awareness and to rich and lasting friendships. All homestays are within Paris and are near a subway or bus station. Students normally have breakfast and dinner with their host families seven days a week, the cost of which is included in the program fee. Students receive a monthly allowance that covers the cost of lunch during the periods that classes are in session. During the end of the year, holidays and the spring vacation, students are required to leave their rooms in their host families' apartments. Most students use this time to travel in France and more widely in Europe and beyond. In September and in March or April, students (accompanied by the program director and the associate director) take part in two two-day excursions to a region outside of Paris such as Normandy, the Loire Valley, Burgundy, or the Côte d'Azur. Weekend trips to the Châteaux de la Loire and to Normandie; day trips to the Château de Versailles, to the Basilique de Saint-Denis, to the city of Rouen (with its cathedral made famous by Monet) and to Monet's country residence in the village of Giverny. These excursions may be organized at students’ requests and may be led by a tutor from the Smith Center. Small group and individual outings to the theater, the opera and to lectures on contemporary art and cinema. Sample activities may include: a kayak excursion in Brittany; a bicycle trip around Ile-de-France; a ski trip to the French Alps. Occasional invitations from French families to join them in their homes for discussions of the "French way of life." Please be sure you meet Smith College's eligibility requirements for approval to study abroad. In addition, Smith in Paris has its own program-specific requirements. Students normally take four 4-credit French courses, including one at the 250 level or higher in the semester prior to their study in Paris. Those who enter Smith at the 230 level or above are required to take three semesters of French prior to study in Paris, including one course at the 250 level or higher in the semester prior to study in Paris. Students beginning with FRN 101 and 102 (Beginning French I and II), or FRN 101 and 103 (Accelerated Beginning French I and II) must take three 4-credit French courses in their sophomore year including the 250 level course (or higher). Students who do not meet these requirements are encouraged to consult with a member of the Department of French Studies. The French government requires all students staying longer than three months to obtain a student visa before arriving in France. 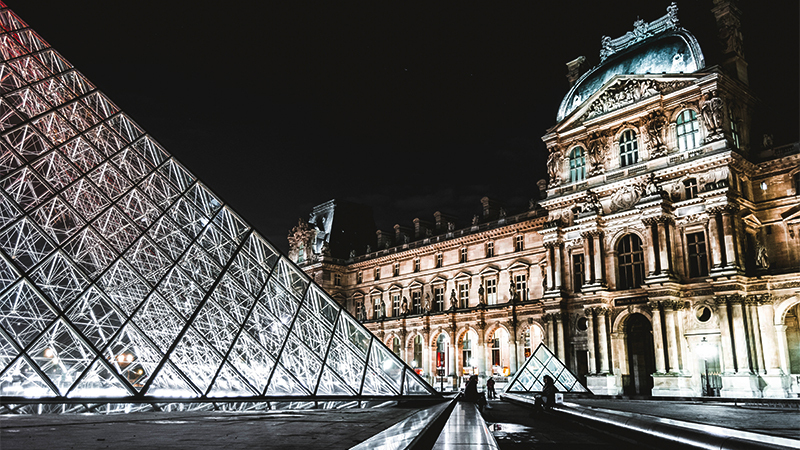 Students who plan to participate in the Smith in Paris program must have a valid passport when they apply to the program, valid six months beyond the planned time abroad. A copy of the passport photo page or proof of application or renewal must be submited with the program application. Students studying on the Paris program will apply for their long-stay student visas independently. Guidance is provided by the Office for International Study, but students are responsible for researching, understanding and following visa application requirements, which vary by French consulate. Students may apply to the French consulate in Boston or the consulate responsible for their home state. Applicants must appear in person at the consulate to apply for a visa; applications are not accepted by mail. Visa applications cannot be made more than 90 days in advance of departure for France. Applying for a French visa requires surrender of the passport to the French consulate for a period of two to four weeks. Please note that students who stay in France during the summer are responsible for all living expenses, visa requirements, medical insurance, etc. For resources and information about the French visa application process, please visit the Paris Accepted Students website.